After a plain crash, a soon-to-be married woman and a British doctor are forced to work together and find their way back to civilization. The Mountain Between Us is directed by Hany Abu-Assad and was released on Oct 6th, 2017. 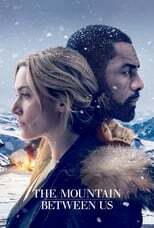 Director Hany Abu-Assad's Romance & Adventure movie The Mountain Between Us is produced by Chernin Entertainment & 20th Century Fox & was released 2017-10-05.